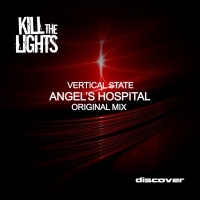 Kill The Lights are proud to present Angel's Hospital - the latest release from Vertical State. Atmospheric emotion is what is on display here as the melodic feel of the track sits perfectly over a good old fashioned Askew style kick and deep rolling bassline. The top line is super infectious too delivering what can best be described as blissed out perfection! 'Angel's Hospital' is available now from Beatport and iTunes.